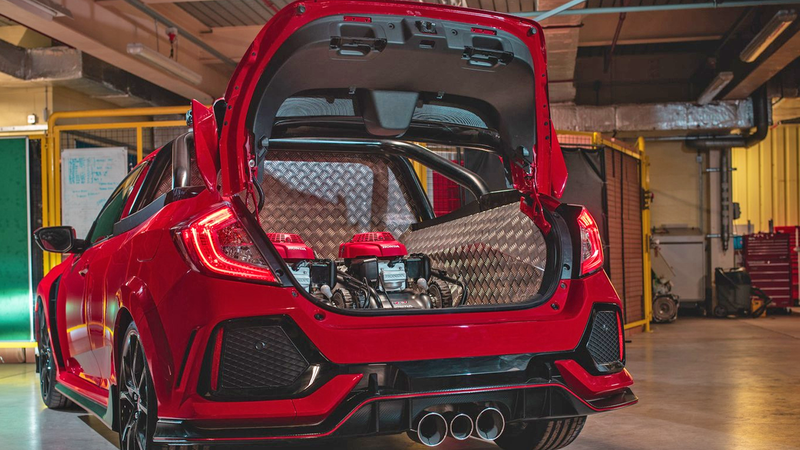 Honda engineers make like mad scientists and hack apart a helpless Type R to create possibly the fastest front-drive pickup around. 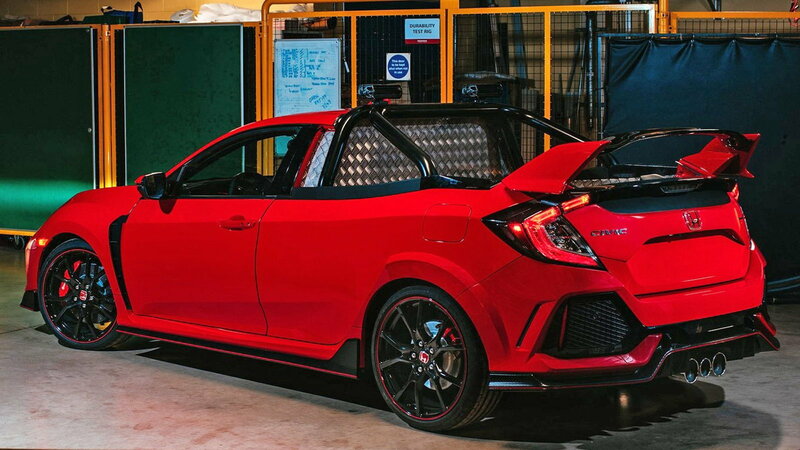 Straight out of Hondas's U.K. factory located in Swindon comes this very special Type R that offers more by taking away the rear seats and adding a little bed. While a head scratcher for sure, it does have the advantage of being able to haul aftermarket parts aplenty of all kinds of shapes safely in the very practical bed. The funny little vehicle is internally called "Project P" and was built by a team of product engineers. That same team of engineers is responsible for Hondas U.K. voluntary race team, Synchro Motorsport. 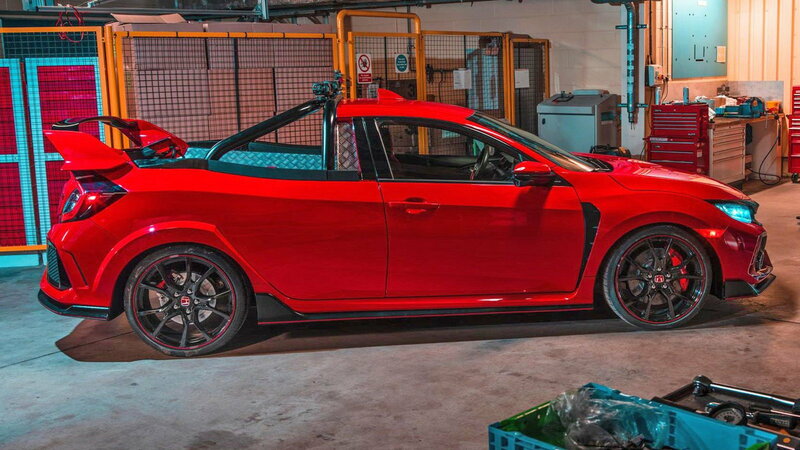 According to Honda, those crazy folks took a pre-production Type R and modified it from the B-pillars back. The telltale Type R wing got to stay but was put in place so that it could be moved to allow for easy access to the bed. Speaking of that bed, it does look very spiffy and equably durable as it is carrying a Honda lawnmower in the rear. 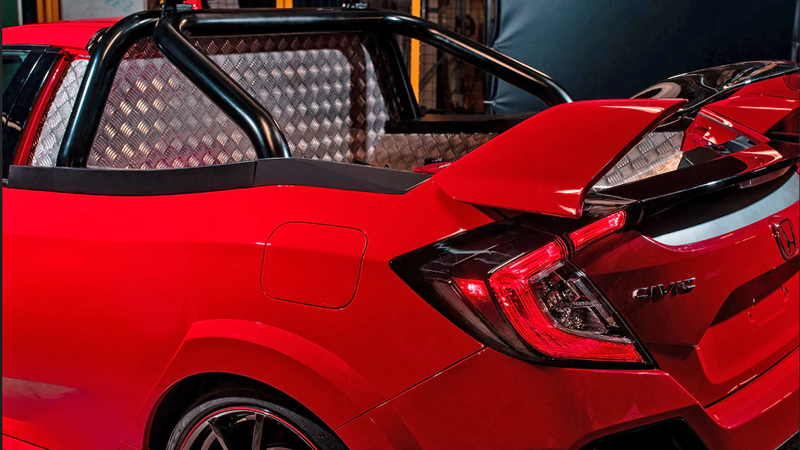 >>Join the conversation about the Type R Civic pickup experiment right here in Honda-Tech.com. So Honda is just letting y'all build whatever for fun? Sadly, for those who pine for a new El Camino kind of car, Honda has no plans to put this concept into production. 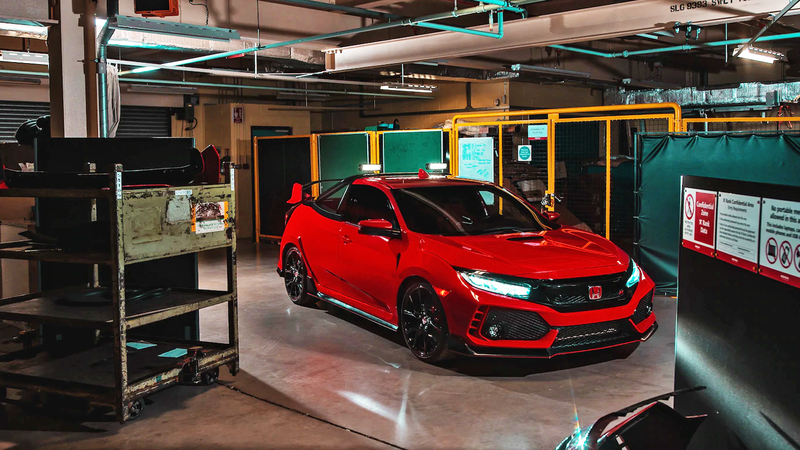 Last year Honda did say that they were considering various kinds of other Type R models including one that would be even more powerful than the existing 306hp model. Other variants mentioned were a grand tourer and an all-wheel-drive variant. We'll keep our eyes peeled to see if these creative vehicles come to fruition in the near future.